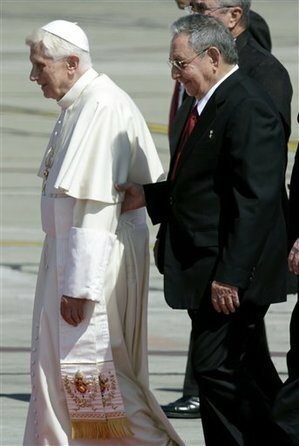 Pope Benedict XVI’s recent visit to Cuba appears to have had only a minimal impact on the faith of Cubans. For the first time since the 1960s the Cuban state declared that Good Friday would be a national holiday, but Cubans appear to have taken the extra holiday as an opportunity to put their feet up rather than attend Church. 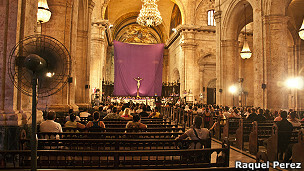 In Havana’s Catedral fewer than two hundred people attended the Good Friday mass. As I wrote before, the Catholic Church faces very serious problems not just in Latin America, but all over the world. The Pope’s condemnation of the Cuban communist system would be a lot more valid if the Vatican were making reforms of its own. The most recent example of the Church’s inflexibility came just two days ago when the Pope firmly rejected calls from a group of Austrian priests to reconsider its attitudes toward the celibacy of priests and the question of female priests. As the Pope tries to win some concessions for Cuban Catholics, and the Castros desperately need the increased credibility that a successful papal visit would bring, both have to pretend that they are participating in a productive bilateral meeting as they grin and bear it. Both parties should be ashamed of themselves. 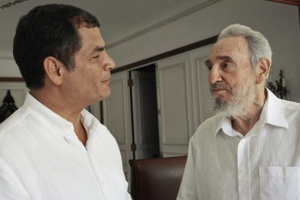 On one hand, the Castros are trying to enhance the image of their Marxist system with a visit from the world’s most famous religious figure, an irony that they seemed to have ignored. The Vatican, on the other hand, is criticising an outdated political system with very significant flaws, which sounds familiar. I guess it is hypocrisy all round. 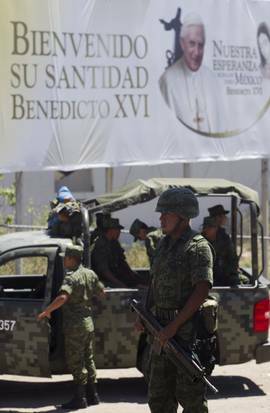 As Pope Benedict XVI makes his second visit to Latin America this week, he does so at a time when Catholicism across the whole region is in steep decline, and evangelical sects are gaining many new supporters. While the Catholic Church is obviously still a very powerful and influential institution across Latin America, it is in danger of losing its influence as the population turns away from it in response to scandal or in search of a more modern alternative. If the Vatican wants to retain its support in Latin America, it is going to require a little more than a few visits from an unpopular pope.